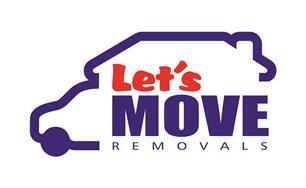 Let's Move Removals services include virtually anything that needs to be done to get you moving. All furniture is protected using special covers and blankets. We dismantle and assemble all types of furniture, modern as well as antiques when necessary without extra charges. We provide all sorts of packing materials as well as packing and unpacking services. We can also store your items without any time limits and our prices are very competitive. In order to provide you with an accurate quote Let's Move Removals likes to arrange a viewing with our professional estimator at your place. Even if you don't have a moving date or if you're not sure where exactly you are moving to, the most important information we need is where you are now anyway so it's often a good idea to get a quote before finalising all details. It is free of charge and does not obligate you in any way. This way you can plan your budget better by having a fixed price and we will know exactly what option is the best for your move.